Mom, the Intern: The time she went to a famous dude's house and saw a play. The time she went to a famous dude's house and saw a play. Do you recognize the guy in the white dress shirt? Maybe not. Let's try a different question: Have you ever seen An American Tail, The Land Before Time, The Secret of NIMH, All Dogs Go to Heaven or Anastasia? None of those? Ok, let's try these: Disney's Robin Hood, The Rescuers, The Many Adventures of Winnie the Pooh, Pete's Dragon? Odds are, you've seen at least one of those films. That fellow we're getting chummy with up there is Don Bluth, director and animator behind all of those. 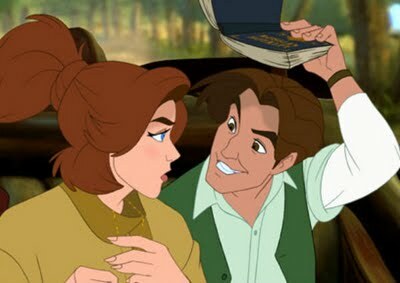 Certainly you've seen Anastasia; Dmitri has to be one of the best-looking animated chaps ... er, alive. (Should animated people be considered alive? Life's big questions.) If you haven't, it's on Netflix. So no excuses. Plus, who doesn't love Meg Ryan and John Cusak? Anyhoo, on Saturday night I accompanied my handsome non-animated husband Dill to Mr. Bluth's lovely home, known also as Front Row Theatre, to see a play he was directing. Remember my best friend MoniQue? Her husband Mike had a role in the play, Charley's Aunt (which was hysterical, by the way), and of course we couldn't miss an opportunity to behold some fine theatrics. As well as eat some of Q's delectable pumpkin scones. We did that, too. Front Row Theatre is super cool because every seat is pretty much on the front row (hence the name). There is a small stage area in the center of the room, but the actors use the entire room during the performance. And I mean ENTIRE. Dill and I sat in the actual front row, just off stage left, and I worried on multiple occasions that the actors were going to end up in my lap. I loved it, though! I felt like I was part of the action instead of just a casual observer. What a unique and exciting way to experience theater. Anyhoo, Mike did a fantastic job as Brassett the butler and we had a great time watching the play. I'm not one to enjoy British humour, but this particular show had me laughing out loud throughout! So many great lines and characters. I wish I had taken some pictures to show you how close the actors were to us during the play. Well, truth be told I did take some, but only on my crappy cell phone camera that has been dropped one too many times by my over-eager toddler. So they're not worth posting; trust me. Instead, go check it out yourself! Here's Front Row Theatre's Facebook page. Such a novel concept! You won't see anything like it. Big thanks to Don for putting on a great show. We loved it! We love Don Bluth! 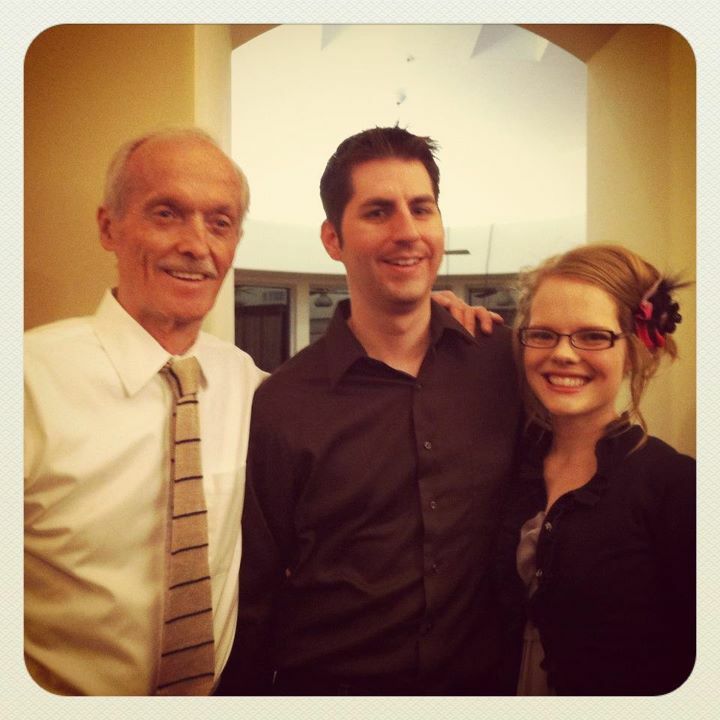 He was in our Scottsdale stake, and lots of people in our ward were always participating in his productions. Isn't it fun that he just opens up his home? I'm excited you got to go! That's awesome you got to meet him! I love all those movies, and the theater experience sounds amazing! How have I never heard of this place before?! Sounds awesome! I am totes hitting up a show as soon as they reopen from the holidays! I know who he is even before you told us! DON BLUTH! Ah, I LOVE LOVE LOVE LOVE the guy. Thank you so much for this, I had NO IDEA about his little production company. I'm definitely going! I was going to ask about the glasses. And I think you're beautiful, nerdy or not. And cool show. I'll have to check it out.